Helmet Met Terra, a leader of the All-mountain. With its robust design and class it is easy to wear and remove. 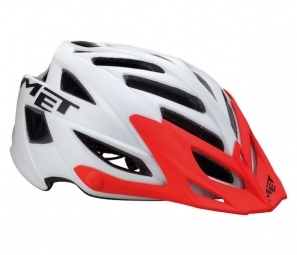 Well ventilated and equipped with a removable protective visor, it complies with safety standards. Ideal for rough terrain, Terra Met helmet is lightweight and finish "soft touch" is very neat. Cooling coefficient 6/10 and contact surface with the head of 65%. Its unique size suitable for turns heads from 54 to 61 cm.